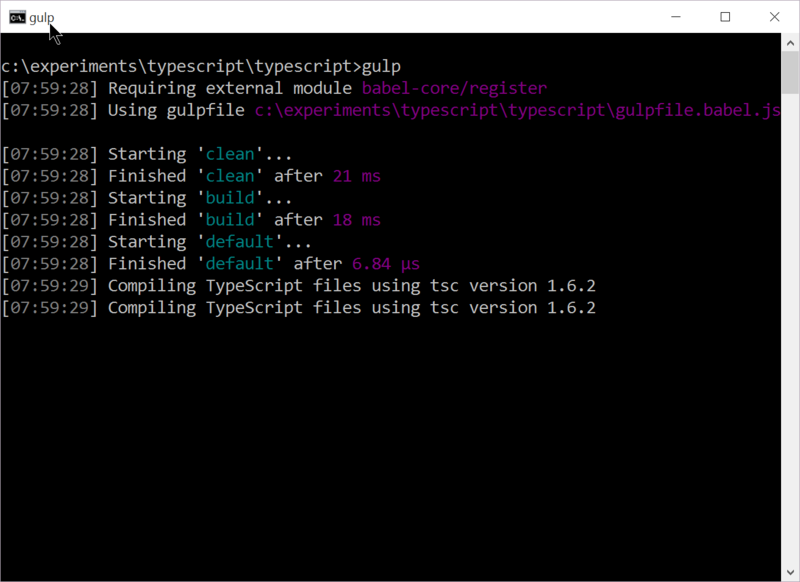 Globally install TypeScript compiler by typing “npm install typescript -g” in command prompt. Once you download the repo from https://github.com/rajyraman/crm-client-scripts/tree/master/typescript run “node install” inside the typescript folder from command prompt. This will bring across the required node modules. The below is the config file for gulp. Dave Berry has published the tsd files for CRM Client side development. 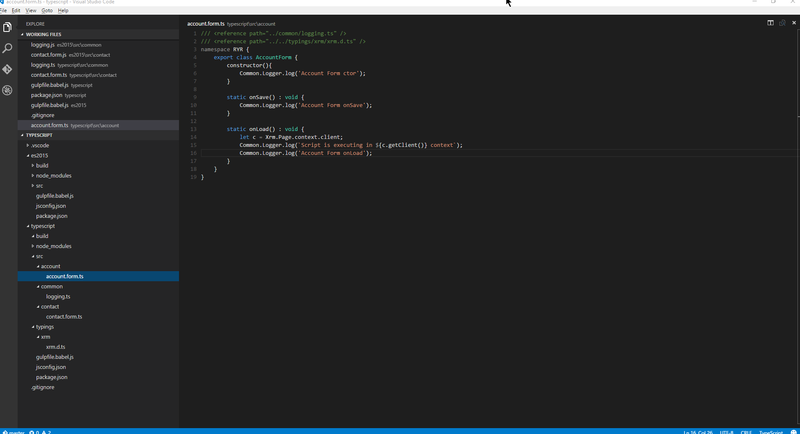 There are so many good reasons to use TypeScript, and Intellisense is one of the top items in my list. There are community published tsds for other popular libraries and so you are not losing any thing by switching to TypeScript. Nice blog, but which function to register on load of form, I tried AccountForm.onLoad and onLoad. Both not working.